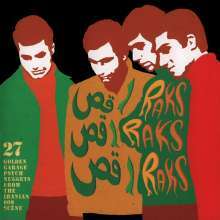 Der Artikel Raks Raks Raks: 27 Golden Garage Psych Nuggets wurde in den Warenkorb gelegt. 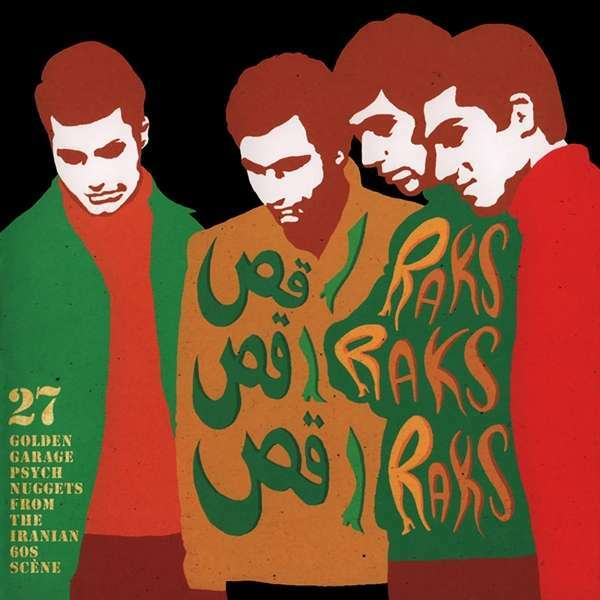 This is one of the most anticipated as well as unexpected compilations from the global depths of 60s and 70s rock'n'roll: The Persian scene. Let alone coming across with a representative compilation, even solid evidences of such a scene has not been seen until now and has been largely suspected, maybe save for a select few of eager garage and psychedelic record collectors and enthusiasts of worldwide rock, who have been trying to hunt such sounds on the internet and private collectors' circles, usually to no avail. Needless to say, the most important factor in this has been the obvious hideously rare status that Iran's pre-Revolution East-West cross cultural artefacts are in right now. As with almost all Asiatic countries, the Shadows and the Ventures seem to be the true and primal influence in the Iranian music scene of the most part of 60s for the rock sound and attitude to penetrate the country's fledgeling record industry and its swinging public base. In 1964, the legendary Top4 company opened up and started releasing choice chart hits from the worldwide lists, on 4-track EPs, followed soon by MonoGram and other companies. These mixed up records featured a lot of popular songs of the day, spanning the whole European continent i.e. including what's referred to now as ›Euro pop‹ hits and the ›big brothers‹, UK and US charts. The day's youth back then was lucky: they could follow the West moment by moment now. The foremost impact of these were to feature and spread British invaders, The Beatles and The Rolling Stones, otherwise available only on radio. Come 1966, 60s was in full swing in Iran too!